The impressive economic growth of the United States over the last century is unquestionable. Established as the land of the free, the United States has provided the economic stage for many to craft out their slice of the American dream. More questionable is that about 12 percent of Americans live in poverty despite this national wealth. However, the acceptance that poverty for some is an unfortunate consequence of free markets is present among a strong majority of the population. After all, the nature of competition is that there must be losers. The embracing of such a system means that income inequality is higher in the United States than in many parts of the world. The link between one’s personal income and poverty is obvious; you are much more likely to live in poverty if you earn a small amount. However, the income of others also plays a role in the likelihood of your being in poverty. Given that demand for goods causes prices to rise, prices for goods can become extremely high for those with a low income level relative to the rest of American society. In 2017, 10.7 percent of American households had an annual income equal to less than 15,000 U.S. dollars per year. For these households, general inflation is a major concern rather than a minor inconvenience. Here it is worth noting that the application of many international definitions of poverty is inapplicable in high income, and therefore high price, economies like the United States. Although extreme poverty, those lacking basic needs such as food and safe drinking water, does exist in the United States, its alleviation is the primary concern of developmental aid in less developed regions of the world. As such, a definition allowing for more consumption is required. In the United States the national poverty level is calculated by tripling the inflation-adjusted cost of a minimum food diet in 1963 and adjusting for family size, composition and the age of the householder. In relation to extreme poverty, those with a level of income less than 50 percent of the poverty level are considered to be in deep poverty. A comparison of poverty rates across OECD countries gives some indication as to a possible cause of inequality. Countries such as the United States, Chile, Australia and the United Kingdom have high rates of poverty when compared with states were social welfare provision is higher such as Denmark, Finland and Germany. The shift towards a neo-liberal approach of social welfare provision, alongside the United Kingdom and Chile, occurred during the Reagan era. The reduction of social welfare in the early 1980s removed sections of the safety net stopping people from falling into poverty. Defenders of this position often point to overspending in other countries, such as Greece, and the widespread poverty subsequent economic crises can cause. Of high concern for policy makers and concerned observers alike is the sizeable difference in poverty rates when analyzed in terms of ethnic groups. 21.2 percent of Black people and 18.3 percent of Hispanic people in the United States lived below the poverty line in 2017, the corresponding figure for all races being 12.3 percent. 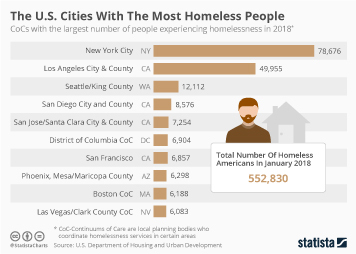 Troublesome statistics such as this suggest that institutional and social problems beyond economic factors face certain groups in the United States. Social security is of course, at least on the bureaucratic level, race neutral. Yet this racial imbalance persists.